We are very sorry to say that someone got over the fence over the weekend in to the Reception yard and stole 4 brand new scooters from the outside store. We would really like to know who is taking school property. Each time individuals take items from school they are depriving 227 children of the joy of playing with the equipment at school. 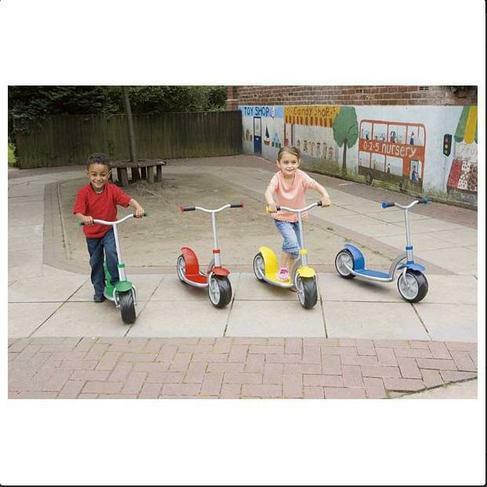 Some of our families are unable to buy these high value items and so school is the only place where they can enjoy playing on this type of equipment which has massive educational benefits for children that aren't able to develop their gross motor skills at home. If anyone has any information about the theft of these items please make an appointment to see Mr Cocking in the strictest confidence.